Located in the center of Tirana, nearby many state and cultural institutions.The modern Architecture and technology make this hotel more suitable and ideal for every visitor. 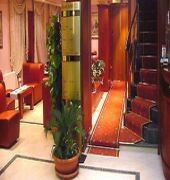 The hotel offers 24h reception, save box, restaurant, coffe-bar and laundry service. 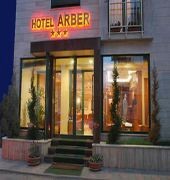 Within only 200 metres from the central Skanderbeg Square in Tirana, the elegant Arber Hotel offers free Wi-Fi, free parking and a restaurant in close proximity to Tirana's most important sights. Its air-conditioned accommodation units have LCD cable TV.Electric kettle and minibar are provided in all units. 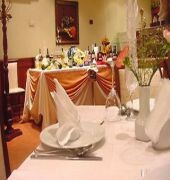 The private bathroom comes with shower, hairdryer and free toiletries.A variety of Albanian, Mediterranean and international dishes can be sampled at the restaurant.